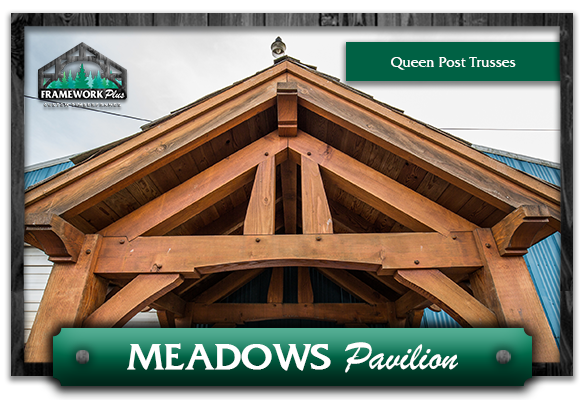 Our Meadows Pavilion Kit is one of our most popular pavilion styles, featuring handcrafted queen post trusses. 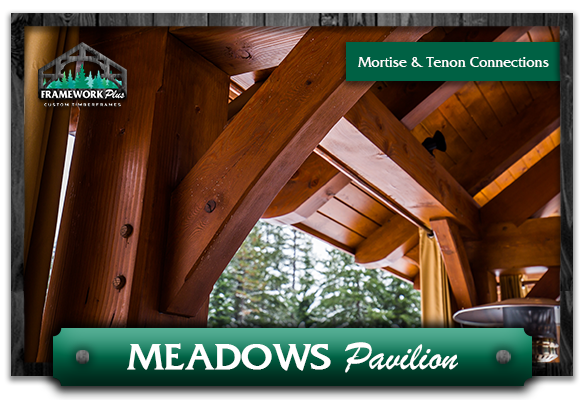 Like all of our pavilion kits, the Meadows is made from high-grade Douglas fir heavy timbers from the Pacific Northwest. 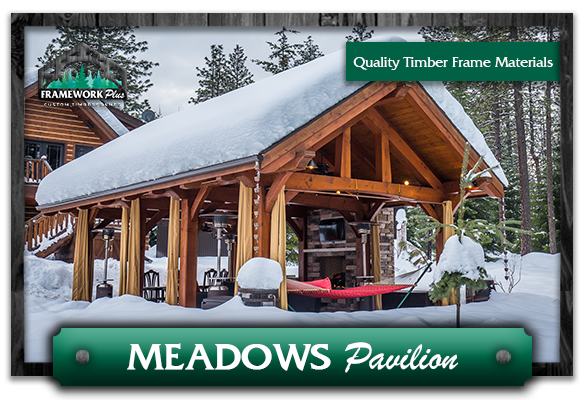 Each kit is handcrafted by our expert artisans, then shipped to your jobsite for easy assembly. 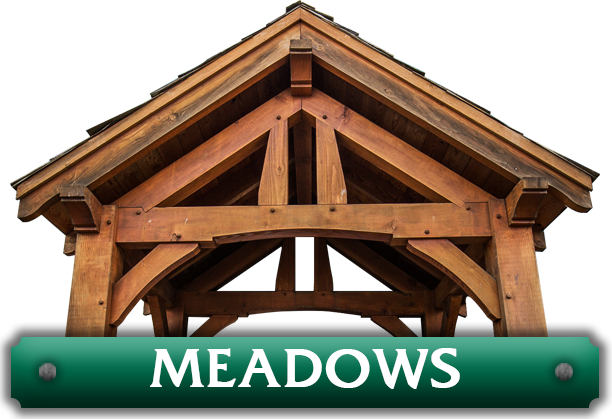 The Meadows comes in three standard sizes, with custom sizes and options available upon request. 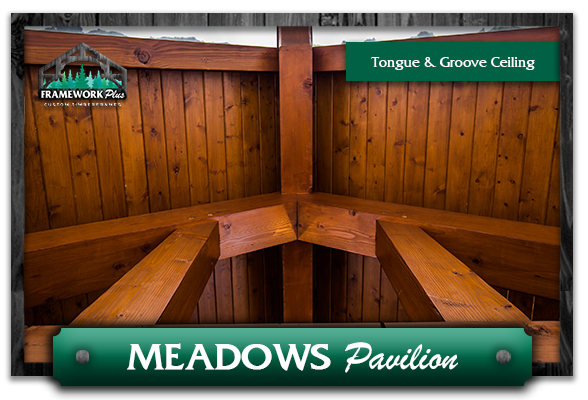 Our highly complete material package for the Meadows Pavilion Kit makes the process of building your outdoor living area quick and simple.